As a parent, some of the most important decisions you make will be choosing your children’s healthcare providers. The Dentistry in Buckhead team loves kids. I’m Dr. Peter Pate, a father, husband, and family dentist. I understand the heavy responsibility of choosing the right medical team to care for your children and loved ones because I’m sitting right beside you in that boat. Of course, I want you to choose me and my team to take care of your family’s smiles, but regardless of your choice, these questions should help you make a good decision. Hours: Are the dentist’s hours conducive to your child’s schedule? To your schedule? Location: Is the dental practice located in a convenient area for your family? 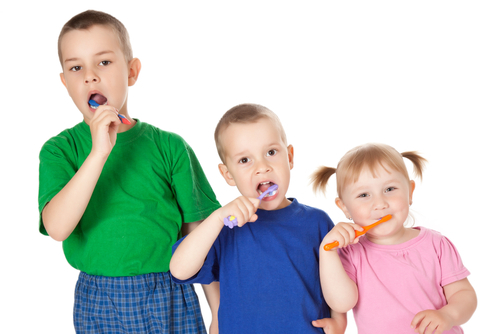 Services: Does the dentist provide the services you need? Does the dentist see children? How young? Kid-Friendly: Does the team like working with kids? Does the office have television and wi-fi to entertain kids? Tour: Can you take a tour of the office to determine if it’s the right place for your family? Team: Can you meet the team to get a feel for their personalities before scheduling your visit? Payment: Does the dentist accept credit cards? Can you pay with a CareCredit loan? The real test will be the first visit for your children. I recommend not scheduling a cleaning or doing any dental work at that first appointment. Instead, the first visit should be a time when you and your child get to know the dentist. After this consultation, on the drive home, ask your kiddo if he or she liked the dentist. What did he like best? Anything he didn’t like? Anyone he didn’t like? Would he like to go back for a dental cleaning later? I want to personally invite you to tour my office and meet my team. Feel free to bring the kids! Your time is precious, so be sure to call in advance and let us know you’re coming in. We’ll need to set aside a few minutes to meet you and answer your questions. My office, Dentistry in Buckhead, serves families across the greater Atlanta area, and my team and I look forward to meeting you. In fact, we’re excited!